A character study of Sherlock Holmes. The last time I saw a similar narrative unfold occurred in the 1976 movie, “THE SEVEN PERCENT SOLUTION” in which the detective struggled with cocaine and morphine, along with an unpleasant childhood memory. But the 1976 movie also featured a mysterious death and kidnapping. No crimes were featured in “MR. HOLMES”. The interesting aspect about “MR. HOLMES” is that the detective’s last case revealed an aspect about his personality that he had never acknowledge or recognized in the past. A personal shortcoming that led to the final failure of his last case. And this discovery . . . this failure led him to retire as a private detective in disgust. And yet, thirty years later, Holmes finds himself struggling to face that aspect of his personality again, due to his relationship with his housekeeper Mrs. Munro and her young son, Roger. If Ian McKellen failed to get an Oscar or Golden Globe nomination for his portrayal of the aging Sherlock Holmes, I will be disgusted. I was amazed at his ability to portray the same character in two different time periods, yet at the same time, reflect at how much that character had changed over the years. And remained the same. Another Oscar potential performance came from Laura Linney, who was outstanding as Holmes’ put upon housekeeper, Mrs. Munro. First of all, I thought she did a first-rate job of recapturing her character’s regional accent. And two, she did a superb job of conveying her character’s unease over the growing friendship between her son and Holmes. If Milo Parker can stay the course, he might prove to be an outstanding actor as an adult. He was certainly first-rate as the very charming and intelligent Roger Munro. He also managed to hold his own against the likes of both McKellen and Linney. I have not seen Hattie Morahan in a movie or television production for quite a while and it was good to see her. More importantly, she was superb as the housewife Ann Kelmot, who was under investigation by Holmes in the past. The actress managed to effectively project an intelligent, yet melancholic air that nearly permeated the film. “MR. HOLMES” is probably the first dramatic project I have ever seen feature Hiroyuki Sanada. Well . . . perhaps the second. I have always been aware that he was a first-rate actor. But I feel that he may have surpassed himself in giving, I believe, the film’s most subtle performance. I was astounded by how delicately he shifted the Tamiki Umezaki character from an ardent admirer of Holmes’ who wanted to help the latter to the emotional and suspicion son, who demanded to know the whereabouts of his missing father. 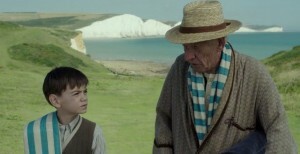 The movie also featured solid performances from Roger Allam, Patrick Kennedy, Frances de la Tour, John Sessions and a surprise cameo appearance of Nicholas Rowe (who portrayed the fictional detective in the 1985 movie,“YOUNG SHERLOCK HOLMES”). The STAR TREK franchise has aired a good number of episodes featuring the “Mirror Universe” – an existence in which the Federation is solely a Human-controlled, fascist empire. This universe was first introduced in the “STAR TREK” Season Two episode, (2.04) “Mirror, Mirror”. The “Mirror Universe” was also featured in several “STAR TREK DEEP SPACE NINE” episodes and most memorably in an “ENTERPRISE” episode called (4.18-4.19) “In a Mirror Darkly”. There have been parallel universe episodes featured in both “STAR TREK: NEXT GENERATION” and “STAR TREK VOYAGER”. But none of these episodes featured the “Mirror Universe”. But if there was an episode that could almost seem part of the “Mirror Universe”, it would have to be the Season Four “VOYAGER” episode called (4.23) “Living Witness”. Directed by cast member Tim Russ, the episode began with an “evil” Captain Kathryn Janeway negotiating a deal with Vaskan ambassador Daleth. 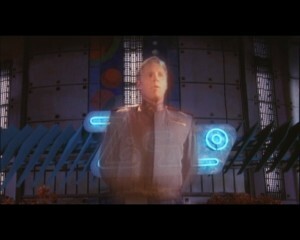 He wants to use Voyager’s fire power in a war against the Vaskans about fighting a war with their Kyrian neighbors. In exchange, he will give Janeway directions to a wormhole that can get the U.S.S. Voyager closer to home. Janeway and Daleth come to an agreement. But the Federation crew’s violent and aggressive methods lead Daleth to harbor second thoughts about the deal, especially after a Away team led by Chakotay managed to kidnap the Kyrian leader Tedran and a few of his followers . . . and Janeway murdered them in an effort to garner information about the Kyrian resistance movement. It turned out that the above scenario was merely a historical simulation of the incident created by a 31st century Kyrian historian named Quarren. Sometime in 2374, the U.S.S. Voyager actually had an encounter with the warring Vaskans and Kyrians, in which the real Tedran and a handful of followers managed to board the Federation starship in order to stop what they believed was a weapons deal. The encounter resulted in Voyager losing a few debris, including a backup module of the Doctor’s program. Using tools from Voyager, Quarren was able to activate the Doctor and discovered that he had been wrong about Janeway and the crew, along with their actual encounter with the 24th century Kyrians and Vaskans. The Doctor’s revelation about the truth regarding the two species’ encounter with Voyager led to another outbreak of violence that resulted in the near destruction of the Kyrian museum for which Quarren served as curator. Using one of the museum’s artifacts, a Federation medical tricorder, as a source of information; the Doctor and Quarren eventually set matters straight. 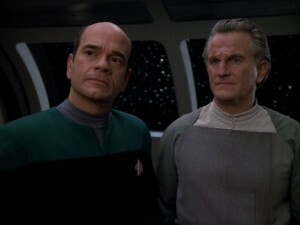 I cannot say that “Living Witness” will ever be considered one of my favorite episodes of “STAR TREK VOYAGER”. 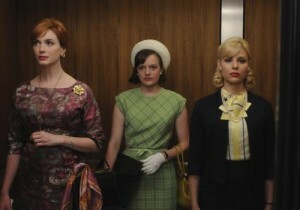 However, I must admit that I view it as one of the best episodes from Season Four. 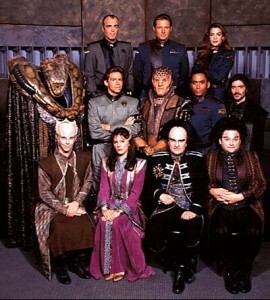 On one level, it allowed the series the opportunity to present its own version of a mirror universe – similar to those episodes featured in “STAR TREK”, “STAR TREK DEEP SPACE NINE” and “ENTERPRISE”. But on a deeper level, it questioned the validity of written history and considered the possibility that a great deal of history has been written by those with a particular point-of-view or agenda. Screenwriters Bryan Fuller, Brannon Braga and Joe Menosky’s portrayal of Quarren and the Kyrians seemed to hint this approach. Looking at Quarren’s take on the Voyager crew as military and political monsters, I found myself wondering why the series never featured an actual “Mirror Universe” episode. Perhaps in that universe, circumstances prevented an actual Federation starship from being catapulted into the Delta Quadrant. Pity. When I first saw this episode, I was surprised to see that the mirror Voyager had a few Kazons as part of its crew. The Quarren character made an interesting comment: “Voyager had many weapons at their disposal, including species they’d assimilated along the way–Borg, Talaxian, Kazon. They were captured and made to work as part of Voyager’s fighting force.” The ironic thing about this comment is that the same could be said about the real Voyager crew. Think about it. Even before the starship got pulled into the Delta Quadrant, Kathryn Janeway collected her first wayward individual – Thomas Eugene Paris. After the starship ended up in the Delta Quadrant, she collected other individuals, who became members of her crew – Chakotay and the Maquis crew under his command, Neelix, Kes, Seven-of-Nine, Icheb and the other Borg children. However, there is one aspect of “Living Witness” that I found slightly disturbing. After my recent viewing of the episode, I came away with the uncomfortable feeling that the screenwriters – especially Brannon Braga – harbored a low opinion of what they considered “revisionist history”. What exactly is revisionist history . . . or historical revisionism? According to Wikipedia, it “is the reinterpretation of orthodox views on evidence, motivations, and decision-making processes surrounding a historical event. Though the word revisionism is sometimes used in a negative way, constant revision of history is part of the normal scholarly process of writing history.” Namely, some of the traditional history we learned from textbooks in the past have been “revised” or reinterpreted, when new material comes to light . . . or in some cases, when certain parties want to revise a past negative view of historical personages or events. Historical revisionism can be both positive or negative. Braga, Fuller and Menowsky seemed bent upon presenting revisionist history as something completely negative. Although the episode featured both negative actions committed by both the Vaskans and Kyrians, only the Kyrians have been portrayed as unlikable or in a negative light. 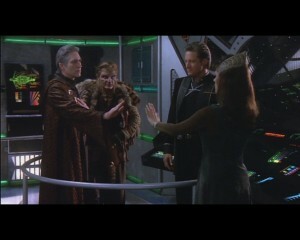 Even after the Doctor made it clear that Ambassador Daleth was responsible for the death of Kyrian leader Tedran seven hundred years earlier; the Vaskans kept their cool and demanded more of the truth, while the Kyrians reacted angrily to the Doctor’s deconstruction of Quarren’s earlier summations of the incident with Voyager. I found that odd. The screenplay portrayed the Vaskans as cool-headed, logical and desirous of the truth. Their only reason for sacking Quarren’s museum was due to their angry belief that his historical theories were wrong. The Kyrians reacted with less ration – including Quarren, himself. And more importantly, the Doctor made a peculiar comment. He said the following in a caustic voice –“Revisionist history…it’s such a comfort.” What were Braga and the other writers trying to say? That revisionist history is something to ignore altogether . . . and that it is better to simply blindly accept the history presented in the old textbooks of the past? I feel that the screenwriters should have considered the possibility that revisionist history could be both good and bad – considering what history is being revised, and whether that revised history has evidence to back up the scholars’ claims. Is that so hard? There is one thing I can say about “Living History” – it featured some first-class acting by the cast and the episode’s guest stars. Roxann Dawson was missing from the episode, due to her recovering from the birth of her daughter. But the rest of the cast were a hoot as the “evil” counterparts of the Voyager crew. I was especially impressed by Robert Beltran’s take on the evil, yet “compassionate” Chakotay; and the insidious humor expressed by Tuvok’s evil counterpart. Kate Mulgrew was frightening as the evil Kathryn Janeway. The woman could have scared the living daylights out of the Borg Queen and Chancellor/Emperor Palpatine. And Rod Arrants was very effective in presenting two completely different aspects of the Ambassador Daleth character. 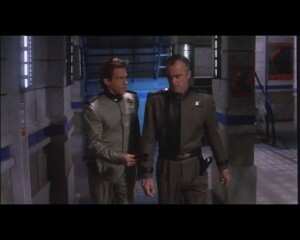 But the episode really belonged to Robert Picardo and guest star Henry Woronicz. Not only were both outstanding as the Doctor from the backup module and Kyrian historian Quarren, but the relationship they developed between the two characters proved to be the heart and soul of this episode. I think “Living History” could have been a personal favorite of mine, if the screenplay did not seem hellbent upon viewing revisionist history as some kind of scholarly evil, instead of something that is a lot more complex . . . like everything else in this world. But it still proved to be a well-made episode that featured excellent direction by cast member Tim Russ, superb performances by the cast and an interesting peek into what a “Mirror Universe” Voyager could have been. 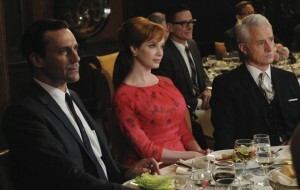 And I still believe it is one of the best episodes from the series’ Season Four. When I first set out to discover how many of author Louis L’Amour novels had been adapted for the movies and television, I had assumed at least a handful had gone through this process. I was surprised to discover that many of his works had been adapted. And one of them turned out to be the 1982 television movie, “THE SHADOW RIDERS”. I have only seen two L’Amour adaptations in my life – “THE SHADOW RIDERS” and the 1979 two-part miniseries, “THE SACKETTS”. Both productions seemed to have a great deal in common. 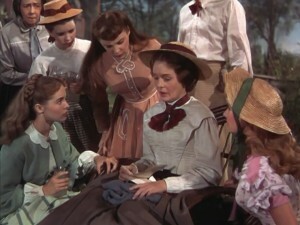 The two productions are adaptations of L’Amour (which is obvious). Both featured three brothers as the protagonists. Both starred Sam Elliot, Tom Selleck and Jeff Osterhage as the leads. The two productions also feature Ben Johnson as a supporting protagonist and Gene Evans as a villain. But in the end, “THE SHADOW RIDERS” and “THE SACKETTS” have their differences. The latter aired as a two-part television movie or miniseries that mainly featured action and drama. “THE SHADOW RIDERS”, on the other hand, is a ninety-six minute television movie, with comic overtones. L’Amour’s tale is basically about two brothers – Dal and Mac Travern – who returned home from the Civil War after fighting on different sides and discover that a company of Confederate cavalry had raided their family’s Texas ranch and the neighborhood for cattle, horses and especially people to sell in Mexico. Among those kidnapped by the raiders were other neighbors, the Traverns’ younger brother Jesse (also a Civil War veteran), their younger sisters Sissy and Heather, and Dal’s former sweetheart Kate Connery. The Confederate troopers, led by one Major Cooper Ashbury, hope to raise enough money or “merchandise” to trade for guns and ammunition from a notorious local gunrunner named “Colonel” Holiday Hammondin order to continue the fight against the Federal government. Upon learning what happened, Dal and Mac discover that the local lawman, Miles Gillette, seem incapable of going after the raiders. And once the Traverns recruit their jailbird uncle “Black Jack” from prison to help them, Gillette becomes more obsessed with capturing the latter. With no law to help them, Dal and Mac set out to rescue their family with the help of their Uncle Jack; Jesse, who managed to escape from the raiders; and Kate, whom they managed to rescue halfway through the story. It seemed rather odd that a story about family kidnapping would have a comic tone. I have read other reviews of the movie and some L’Amour fans seemed put off by this tone. Personally, I have no problems with it. Yes, I have read the novel and it was pretty good . . . and somewhat grim. But I thought director Andrew V. McLaglen and screenwriter Jim Byrnes did a pretty damn good job in mixing the grim nature of the story with a strong comic element. The screenplay did not shy away from the horror of Major Ashbury’s actions or how they affected the Travern family – especially Sissy and Heather. 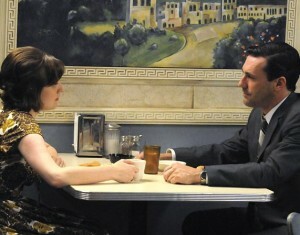 More importantly, most of the comedy came from the family interactions between members of the Travern family – especially Dal and Mac’s reunion at a local tavern right after the war, the three brothers’ reaction to Jack Travern’s criminal past and the emotional reunion between Dal and Kate, who had become engaged to another man after hearing about Dal’s erroneous death. “THE SHADOW RIDERS” also featured some outstanding action sequences. My favorites include Jesse’s escape from Ashbury’s raiders, the three brothers’ rescue of Kate, and the family’s main rescue of the Travern sisters and their neighbors from Holliday Hammond’s camp in Mexico. Being a veteran of many movies and television productions set in the 19th century, it seemed obvious that McLeglen was in his element with “THE SHADOW RIDERS”. The action featured in the film struck me as very exciting, without any of the excess that seemed to mar a good number of action films and television shows, these days. I only have few complaints about “THE SHADOW RIDERS”. Despite its comic element, the main narrative focused a good deal of situations that involved family reunions between the Travern family. I certainly had no problems with most of them. But I had a problem one – namely the Travern brothers’ reunion with their Uncle Jack, who was serving time at a local jail. I found it . . . rather lackluster. A bit too laconic and understated for my tastes. I understand that this scene featured mid 19th century American men, who may have been conditioned to keep their emotions in check. 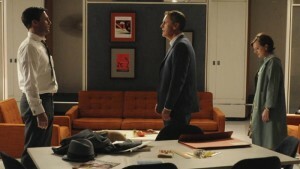 Yet, other reunion scenes – whether it was between Dal and Mac, or the pair’s reunion with Jesse or their parents – seemed to feature some element of emotion. Is it because the brothers were dealing with the slightly larcenous “Black Jack” Travern? Who knows. I also had a problem with Mac’s war background. The movie made it clear that he was a Union cavalry officer, who was in Georgia at the time the war ended in April-May 1865. I just do not understand why he was in Georgia at that time. He must have entered the state with William Sherman’s forces in 1864. So . . . why did he remain in Georgia and not accompany Sherman into South Carolina? If anyone would ask me, I believe the shining virtue of “THE SHADOW RIDERS” was the cast. They were outstanding. All of them – from the four leads to the numerous characters that appeared in this movie – were first-rate. They all seemed very comfortable in their roles, while at the same time, managed to provide a good deal of edge to their performances. In“THE SHADOW RIDERS”; Sam Elliot, Tom Selleck and Jeff Osterhage renew the screen chemistry they had created in“THE SACKETTS” with great ease. However, I was a little disappointed that Osterhage’s role in this film seemed slightly diminished in compare to his role in the 1979 production. Katherine Ross made an excellent addition as the classy, yet strong-willed Kate Connery, who had been Dal’s former sweetheart. This also gave Ross an excellent opportunity to share some rather funny and romantic scenes with her off-screen husband, Elliot. Hell, she even managed to work well with Selleck, Osterhage, Geoffrey Lewis and Gene Evans. Ben Johnson was a hoot as the Traverns’ laid-back, yet larcenous uncle, “Black Jack” Travern. I could also say the same about Gene Evans, who portrayed the very charming and very cold-blooded gunrunner, Holliday Hammond. On the other hand, Geoffrey Lewis made a very intense Cooper Ashbury, the Confederate cavalry officer who is determined to continue the War Between the States with only a company of men. “THE SHADOW RIDERS” also featured first-rate performances from veterans such as Jane Greer, Harry Carey Jr., and R.G. Armstrong; along with Dominique Dunne and Natalie May. I may have had a problem with one or two scenes with “THE SHADOW RIDERS”. 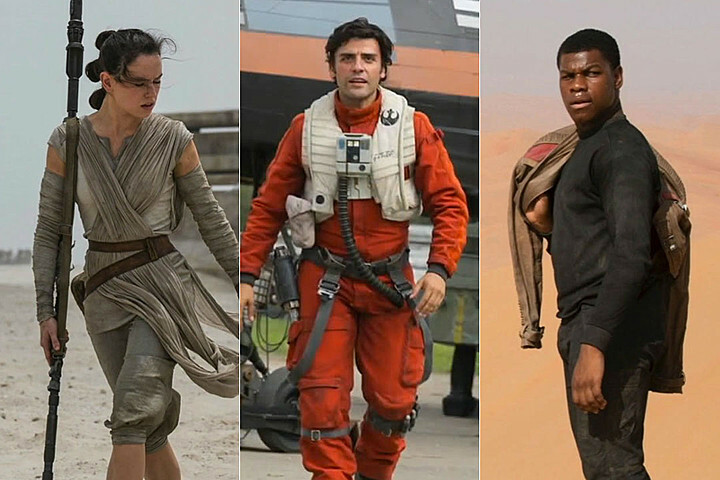 And yes, I found the Civil War background for one of the major characters a bit confusing. Otherwise, I really enjoyed the movie. I enjoyed it when I first saw it as a kid, many years ago on television. And my recent viewing only confirmed that my feelings about the production has not really changed one whit. Director Andrew V. McLeglen, screenwriter Jim Byrnes and a cast led by Sam Elliot and Tom Selleck continued to make this movie a joy to watch.